Welcome back to Worship on Wednesday (I didn’t post last week). 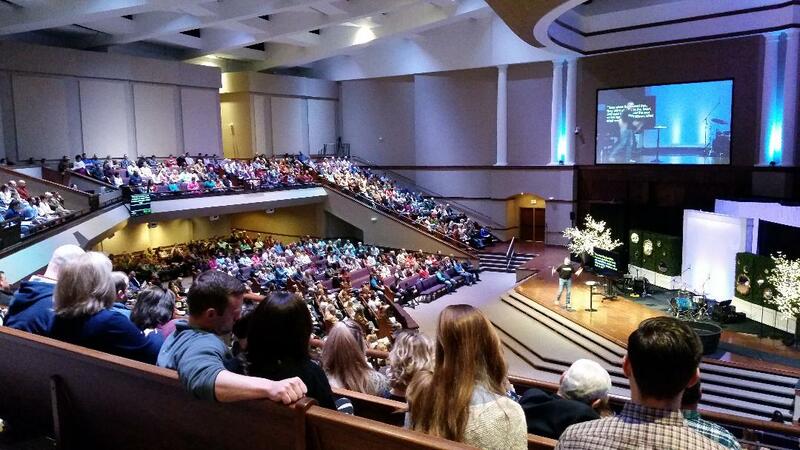 Monday I wrote about my visit to Central Baptist Church in Jonesboro, Arkansas for the Be. Loved. Women’s Conference, well I decided to stay overnight and attend their weekend service. Sunday morning I pulled up to CBC with its impressive stately columns and prepared myself mentally for a traditional service. A friendly lady had informed me the evening before that they hold one traditional and two contemporary services in the main sanctuary. 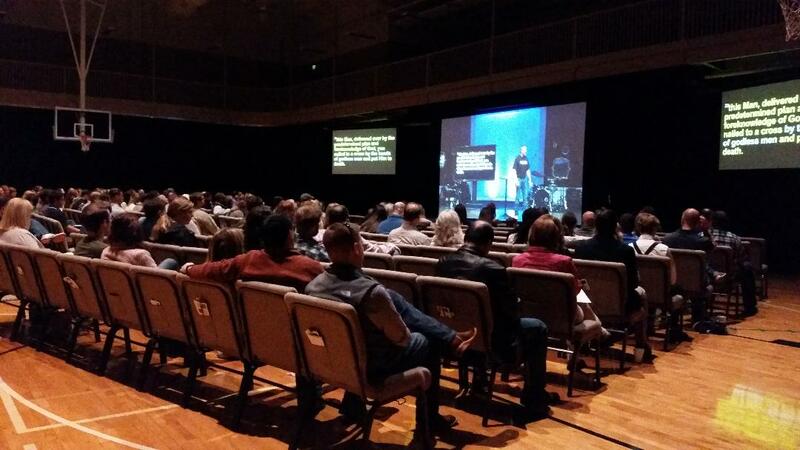 Know this, I attend a non-denominational large church with awesome worship teams. This was going to be somewhat different for me. To be honest I wondered how contemporary was their version of contemporary. I know that sounds narrow minded, but to me those stately columns loudly declare traditional to the core. There is nothing wrong with traditional, worship after all comes from the heart not the style of music. However, having been brought up with traditional hymn singing, I now prefer contemporary…just saying. 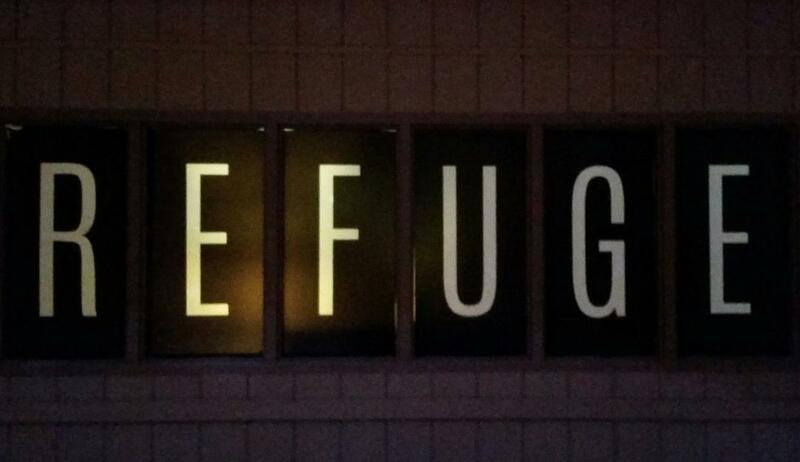 Two women at the conference steered me to attend The Refuge, a service CBC holds in the gym at the same time as the main sanctuary holds theirs. They knew nothing about my preference in worship music, so it intrigued me that they would guide me there. The gym was transformed by pipe and black drape, though the basketball hoop was evident you didn’t feel as if you were in gymnasium. People of all ages gathered while the worship team arranged themselves on the low stage at the front. After opening in prayer, the worship team struck up the first song (withholding song title for now). Though I’m familiar with the song they sang, I have never heard it played as part of a Sunday service before…heck I’ve not heard it played in any service before this one. I will and do however sing it loudly in my car when it comes on K-Love radio station. It just shows you can’t judge a church by its stately columns. Neither can we judge each other by our outward appearance; It’s what on the inside that counts. When Samuel was looking to anoint the next king, Jesse had line up all bar one of his sons. When Samuel saw Eliab, he thought this must be the one, but he wasn’t. How’s your heart doing today? So, what is the name of the song that I have never heard sang in any church service? Drum roll please….Lift Your Head Weary Sinner: David Crowder. It’s not a quiet gentle song so you may want to turn the volume down if you don’t like your music too loud. Otherwise go for it. If you have a worship song recommendation let me know in the comments. Photo Credits: Daisy Photo; Unsplash. Main Sanctuary, Refuge Sign and Refuge Meeting; Helena Davies (me). Thank you Darla. It was a neat to church to visit. That sounds like a great adventure. I like contemporary worship but do appreciate the traditional hymns, too. It certainly was a great adventure Dorothy.